AKIPRESS.COM - New York City Mayor Bill de Blasio on Wednesday announced a two-pronged attack against the fossil-fuel industry, including a vow that city pension funds would divest about $5 billion from companies involved in the fossil fuel business, New York Times reported. 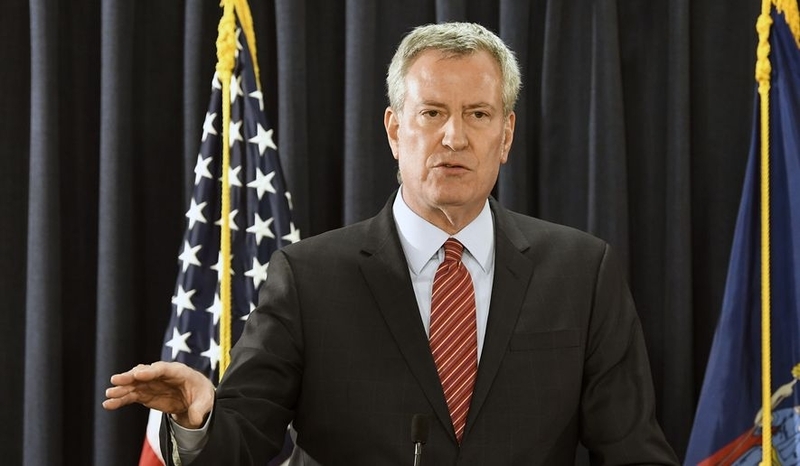 The mayor also announced a lawsuit against five major oil companies, seeking to collect billions of dollars in damages to pay for city efforts to cope with the effects of climate change. The mayor acknowledged that the lawsuit, which he compared to successful lawsuits against large tobacco companies, could take years to reach a resolution. The city lawsuit says that the oil companies — BP, Chevron, Conoco Phillips, Exxon Mobil and Royal Dutch Shell — were aware for years that burning fossil fuels caused climate change but hid the conclusions of their own scientists. It says that the city has spent billions of dollars and will spend billions more to deal with the consequences of climate change, such as the effects of Sandy, and it seeks to hold the companies responsible for those costs.